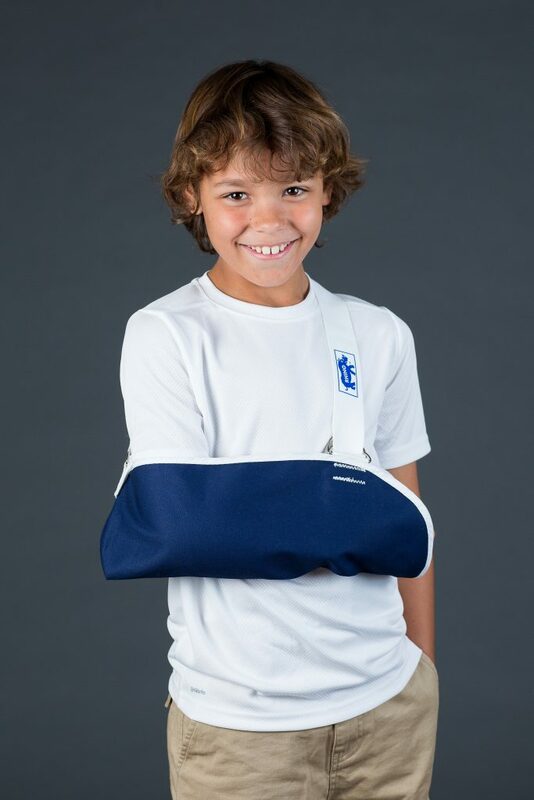 Spine/Upper Extremity Soft Goods // RHINO Pediatric Orthopedic Designs, Inc.
RHINO Pediatric Orthopedic Designs, Inc. 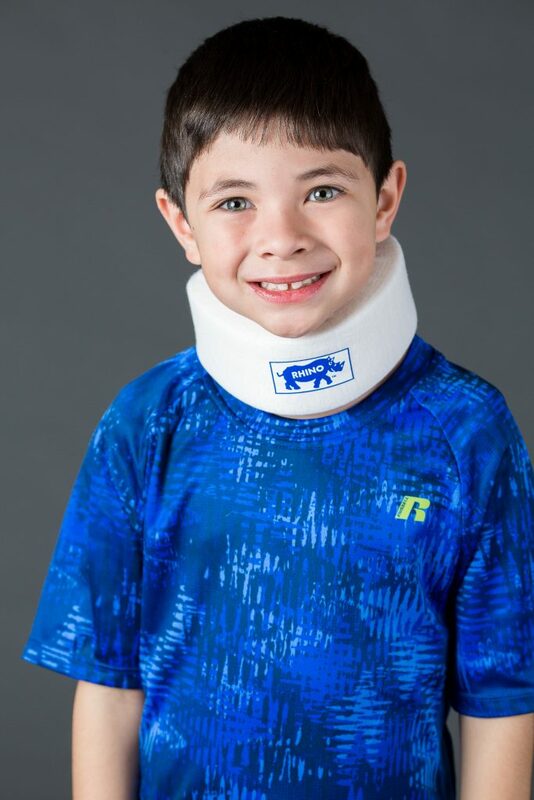 Comfortable, contoured, well fitting collar designed especially for children. Natural colored stockinette with self gripping fasteners. Attractive blue envelope sling with adjustable strap. This sling has self-gripping fasteners that make it very easy to apply. Sizes available to fit all children. For use in sprains or non-displaced torus fractures. 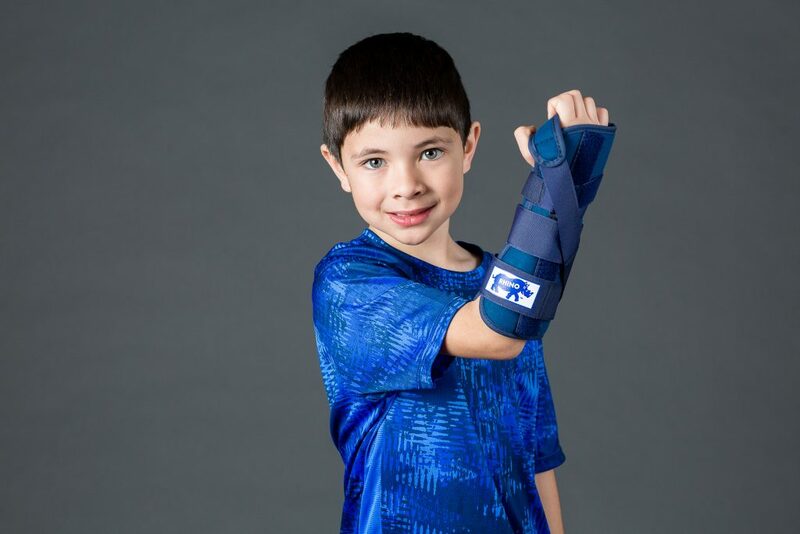 Also provides excellent support and protection as follow-up to cast treatment for forearm fractures. Allows gradual increase in function. Remove for bathing. The Rhino elbow splint is designed for elbow sprains and contusions. We have a variety of sizes that will fit from toddler to teen. © RHINO Pediatric Orthopedic Designs, Inc.